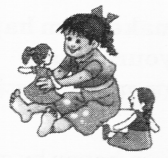 NCERT Solutions for Class 2 English Chapter 18 Granny Granny Please Comb my Hair are part of NCERT Solutions for Class 2 English. 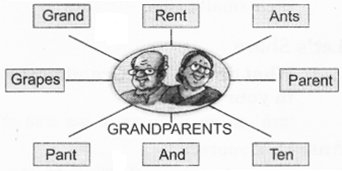 Here we have given NCERT Solutions for Class 2 English Chapter 18 Granny Granny Please Comb my Hair. This poem is about a young girl and her grandmother. The young girl asks her grandmother to comb her hair. She talks about how her grandmother cares for her. She further talks about how she sits and rubs coconut oil in her hair. She tells how her grandmother praises her after finishing the combing her hair. What does the little girl want her Granny to do? छोटी बच्ची अपनी दादी माँ से क्या करवाना चाहती है? The little girl wants her Granny to comb her hair. What does Granny rub on her hair? दादी माँ उसके बालों में क्या मालिश करती है? Granny rubs coconut oil on her hair. Does the little girl love her ‘Granny’? क्या छोटी बच्ची अपनी दादी माँ से प्यार करती है? Yes, the little girl loves her Granny. क्या तुम्हारे दादा-दादी तुम्हारे साथ रहते हैं? Yes, my grandparents live with me. Do you spend some time with them? क्या तुम उनके साथ कुछ समय बिताते हो? Yes, I spend a good amount of time with them. तुम उनकी सहायता किस प्रकार से करते हो? I help them by doing a number of their small tasks. What do you call ‘Grandmother’ in your language? ‘दादी’ को तुम अपनी भाषा में क्या कहते हो? What do you call ‘Grandfather’ in your language? ‘दादा’ को तुम अपनी भाषा में क्या कहते हो? Do you know any old people? Can you name them? क्या तुम किसी बूढे व्यक्ति को जानते हो? क्या तुम उनके नाम बता सकते हो? How can you make them happy? Discuss with your class. We can make them happy by giving them love and care. Have you ever gone out with your grandparents? क्या तुम अपने दादा-दादी के साथ कभी बाहर गए हो? Yes, I have gone out with my grandparents. Sometimes we replace the names of people with another word, instead of repeating the name. Replace the names in the sentences using a word from the box. Meena is playing with a doll. She is a girl. 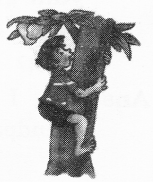 Ram is climbing a tree. He is a boy. Do not eat that mango. It is not ripe. Suppose you go to stay with your grandparents for a week. 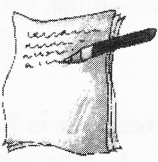 Make a list of things that you would like to take with you for them. Do not forget to put ‘a’, ‘an’ or ‘the’ before each thing. 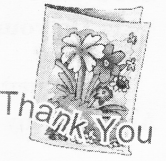 Make a “Thank you card for your grandparents. Chart paper of any colour of 9 inches x 12 inches, sketch pens, sticker, design block. (i) Fold the paper into two. (ii) Draw or stick pictures on it. (iii) Write a message inside. (iv) Begin with Dear Grandfather/Grandmother. 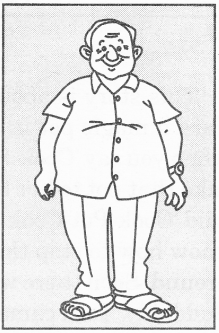 This is an outline of Meena’s grandfather. Add his hat, tie, moustache, glasses, stick, etc. Write each word in the given box. Colour the picture and write his name. Put the given things in the picture yourself. This is a family picnic scene. Give names to all the people. Look at the picture and make sentences using phrases given in the box. We all come together for a picnic. Everybody is enjoying a lot. My young brother Abhiram is playing football with my father. My mother and grandmother are enjoying their food. My younger brother, Abhishek, is fishing with my grandfather. As we should not leave our waste things in the party, so I am picking up wrappers and waste papers. 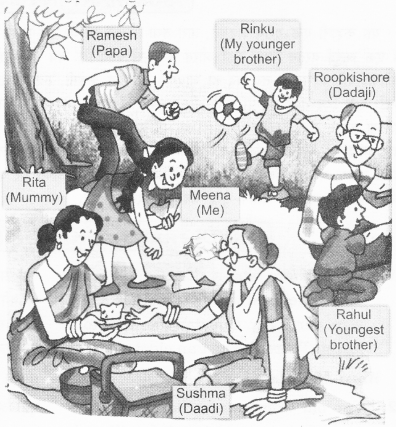 We all are enjoying in the company of our elders. 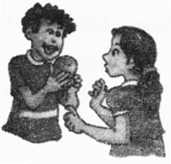 We hope the NCERT Solutions for Class 2 English Chapter 18 Granny Granny Please Comb my Hair, will help you. If you have any query regarding NCERT Solutions for Class 2 English Chapter 18 Granny Granny Please Comb my Hair, drop a comment below and we will get back to you at the earliest.